Head north to Hokkaido and the one dish your sure to find on any menu is ramen, a noodle once imported from mainland Asia that has become a dietary staple throughout Japan. While diners can debate for hours over the finer points of whose broth is better, what’s not up for argument is how amazing a bowl of piping hot ramen feels on a bitter cold Hokkaido day. 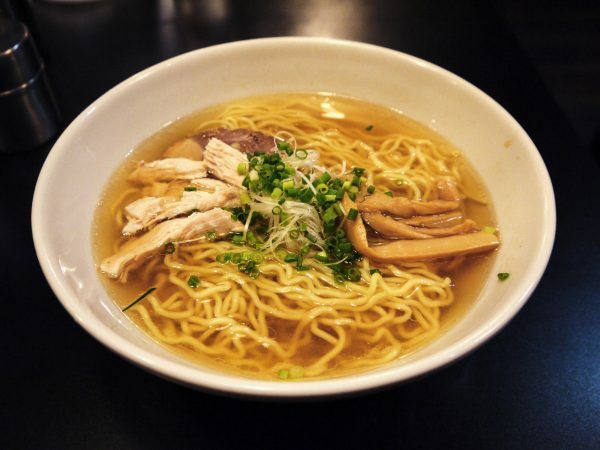 Hakodate helped introduce ramen onto the Japanese dining scene and its homegrown version is worth seeking out at the restaurants mentioned below. While the origins of ramen in Japan are rather murky, it is generally agreed that the tasty noodle arrived from China several centuries ago. Being a port city with ties to international trade, residents were eager to welcome new culinary trends. Hakodate may have the best historical claim for the first Japan-made bowl of “ramen” when an 1884 newspaper advertisement marketed servings of Nankin soba (noodles from Nanjing) to local readers. Perhaps the most important feature of any ramen is its base, and connoisseurs will argue long and loud about which ingredient makes for the most delectable dinner. Contrary to the miso-flavored ramen of Sapporo just to the north, Hakodate prides itself on its shio ramen, a salt-based broth mixed with a stock made from pork bones (known as tonkotsu). While Hakata ramen in Fukuoka (southern Japan) is more famous for its rich tonkotsu broth, the soup is said to have originated with the Inuit tribes of Hokkaido. The broth of Hakodate ramen is generally quite clear, especially when compared to the milky Hakata ramen, and is known for being less fatty than its cousins in Sapporo and Asahikawa. Of all the ramen styles in Hokakido, Hakodate ramen has stayed truest to its Chinese roots with a clear broth and a lack of seafood or seaweed flavoring in the stock. Nearly all bowls of Hakodate ramen are topped with the following ingredients – thick slices of roasted pork, scallions and bamboo strips. On many bowls, you’ll also find fish cake, as well as a bit of color in the form of spinach or nori (dried seaweed). Food critics for the famed Michelin Guide recognized the sublime taste of Seiryuken’s shio ramen by awarding it the special designation of Bib Gourmand in 2012. Opened in 1951 as a simple street stall, the restaurant can now be located by the queues that form daily outside the front door. A bowl of the famous salt-based ramen will set you back a mere ¥580 but be warned – go early, as the restaurant has been known to shut before their posted closing time of 6.00PM if they sell out of stock for the day. Ajisai first opened in 1930, in a classy building near Goryokaku Park. Though they have since expanded to include a branch in the prefectural capital of Sapporo, purists prefer the ramen on offer at the original restaurant. Their slow-cooked pork brings even greater depth of flavor to a hearty yet deceivingly light broth and the bowls used for serving are almost as attractive as the food itself. Expect to pay around ¥550 for a bowl of noodles. When the shinkansen line to Hakodate opens in the spring of 2016, ramen enthusiasts will be able to wander right off the train and into Ryuho, a popular shop just a few blocks from the station. The broth here is incredibly clear and light, and a pink and white fish cake adds a spot of color to the salt-based soup. Images used in this article are courtesy of Yamaguchi Yoshiaki.